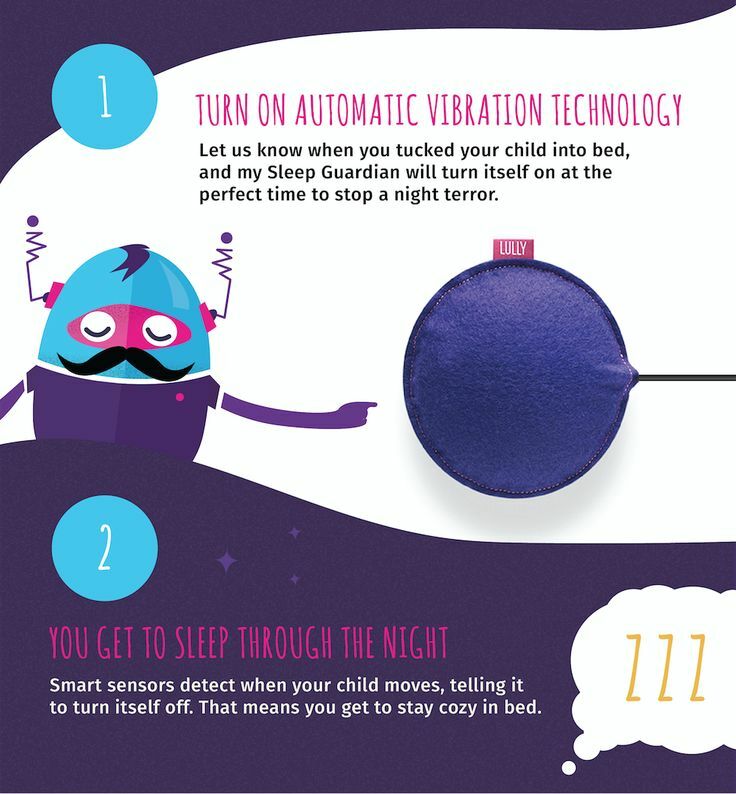 Sleep Guardian 2 is the only clinically-tested device that’s proven to reduce night terrors in children. The device was originally developed by a Stanford Medical University physician and father who spent years researching children’s sleep. In a clinical study at Stanford, Sleep Guardian stopped 8 out of 10 night terror attacks in 4 weeks of use. It’s proven to be safe and is recommended by top pediatricians. Sleep Guardian 2 works on the principle of intermittent scheduled awakenings to prevent night terrors. Here’s how it works. 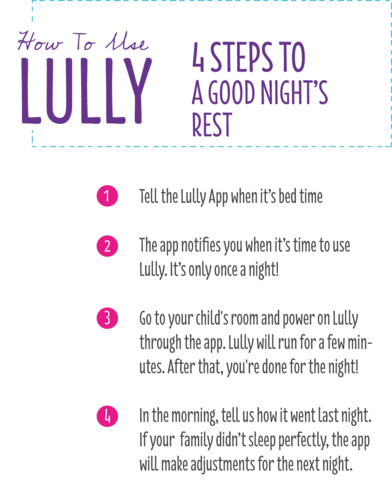 First, get the free iOS compatible Lully app and answer 4 questions about your child’s sleep so the app learns your child’s sleep patterns. Then, put the vibrating pad under your child’s mattress. 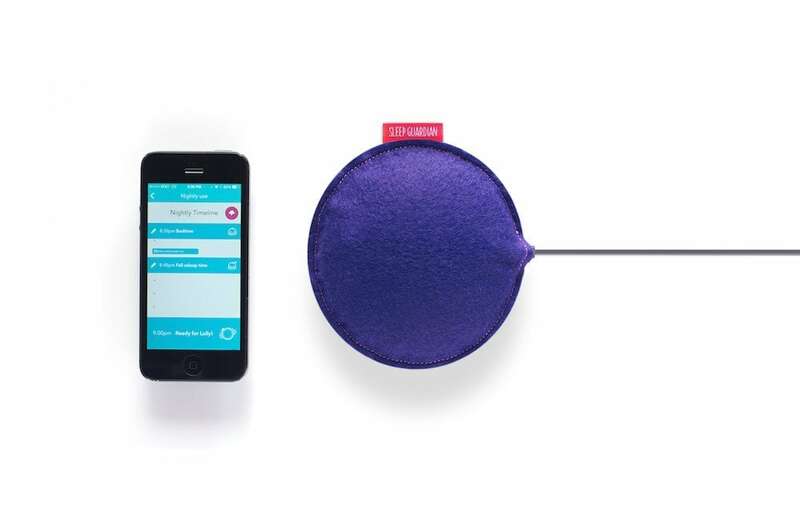 It will automatically send gentle vibrations to get your child to stir without waking. 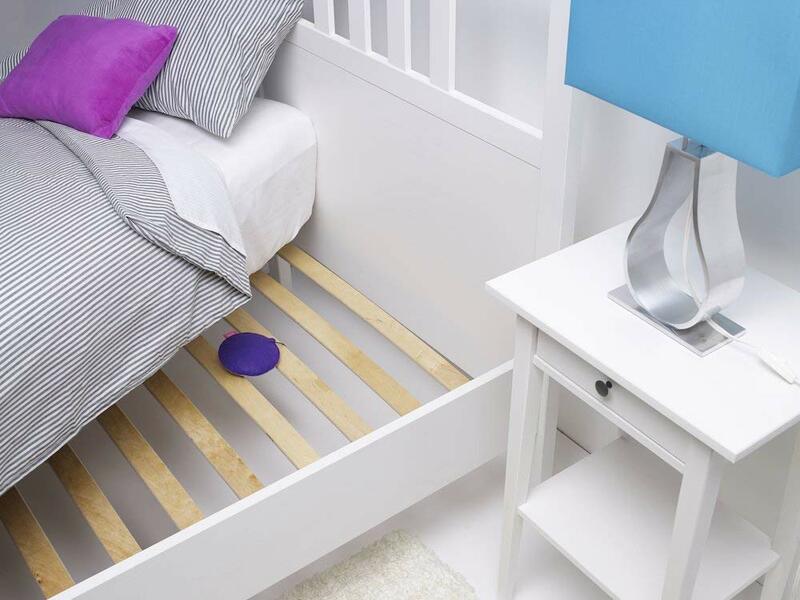 The pod automatically turns off after 3 minutes or when it detects that the child has moved. In the app, you can keep notes about your child’s night terrors and their severity. That information is used to improve the Sleep Guardian’s performance and help you understand your child’s sleep and see their progress. Sleep Guardian 2 is safe: the pod uses a low energy Bluetooth connection, 1,200 times weaker than most phone radio waves. It has been tested and shown to work with thick memory foam, latex and pillow top mattresses. For thicker mattresses, you can just adjust the vibrations higher. And although it’s marketed to work with children, it work with adults as well. If you have any questions, contact Lully customer service; they’re available to quickly answer any of your questions.